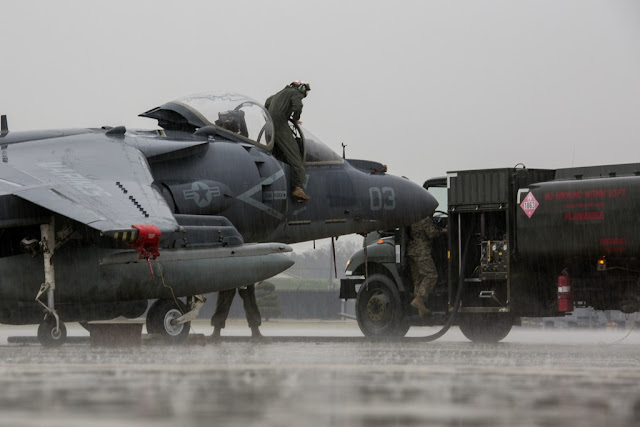 During the annual Max Thunder exercise, allied forces train to combat in real environments. 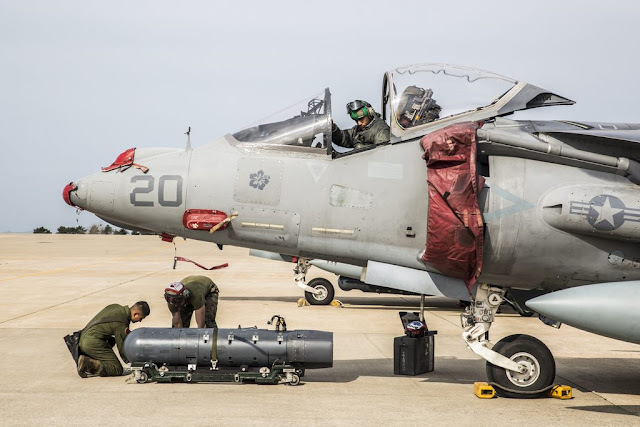 U.S. Marines with Marine Attack Squadron (VMA) 311 executed blue-air missions during Exercise MAX THUNDER 17 at Kunsan Air Base, Republic of Korea, April 17, 2017. VMA-311 AV-8B Harrier pilots combined forces with ROK and U.S. Air Force pilots and were split between two sides, red air and blue air, where they conducted a defensive counter air mission set. Blue air pilots were the allies and red air pilots played their invading adversaries. Red air pilots flew into a designated friendly territory protected by blue air pilots where they identified targets and fired simulated missiles against each other in realistic dogfighting scenarios that involved air combat fire and maneuver. 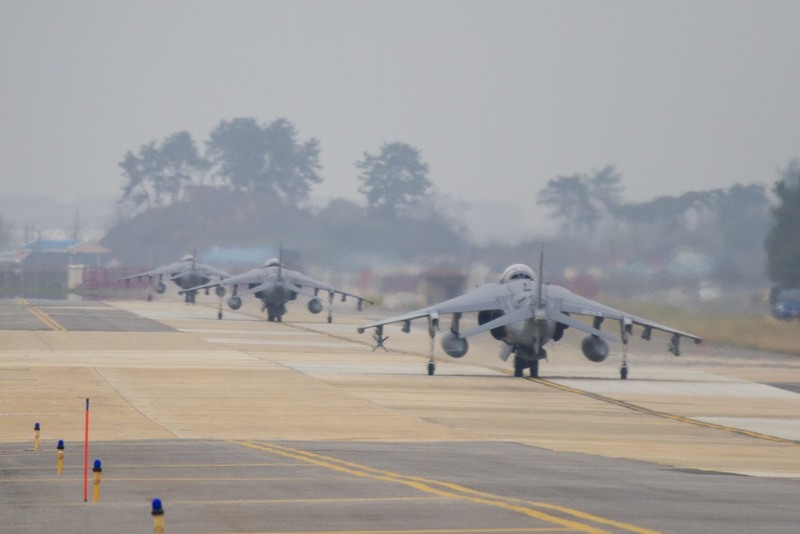 The mission mixed ROK and U.S. pilots on both sides giving them the opportunity to fly side-by-side in order to improve mutual understanding and cooperation between the service members of the two nations. ROK commanders debriefed the participating pilots following the exercise where they discussed how the mission went, issues the pilots experienced and corrections to be made for upcoming flights. The participants also got the opportunity to see the mission played on a two-dimensional flight tracker that recorded the event. Pilots noted their fires, hits, misses, communication errors and more. 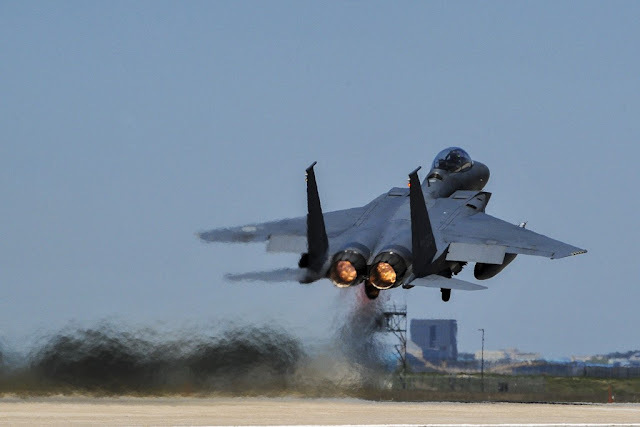 Max Thunder is an annual exercise designed to train allied air forces to quickly generate overwhelming air power under realistic conditions. The exercise helps ensure the defense and security of the Asia-Pacific region and reaffirms U.S. commitment to stability in the Northeast Asia region.